Born and raised in Southern California and now Living by Faith, Growing in Christ, and Raising my Family in the Midwest. It is hard to believe that summer is at an end and a new school year has started. This summer seemed to fly right by me. But now it is time to get back in a routine. 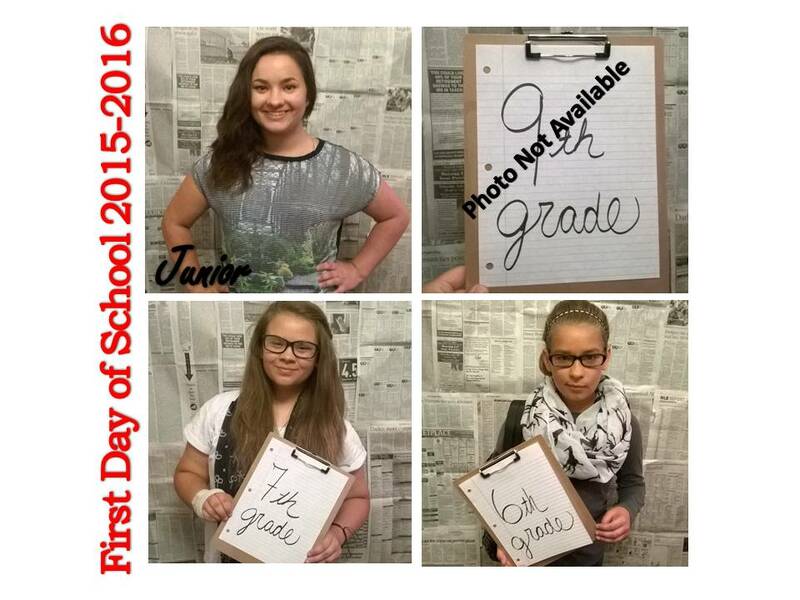 So for the past two weeks I have been trying to get my four kids ready for school. I feel like a veteran at this, twelve years in the making. But to tell you the truth, I learn a few new things each year. 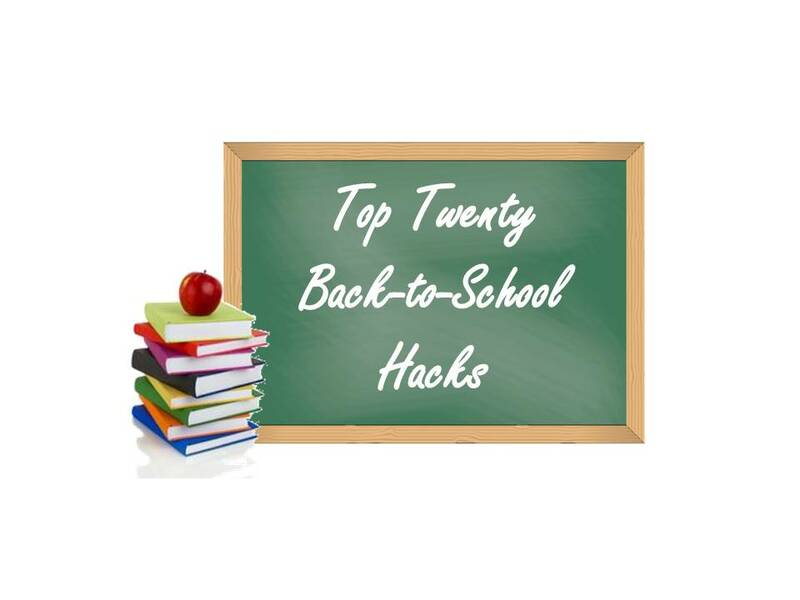 I have compiled a list of my Top Twenty Back to School Hacks, which should help jumpstart this new school year right. Color Coded Calendar – This new school year I wanted to give my mommy calendar a ‘new look’. For each one of the kids’ activities, I have given a different color. For example, School is orange, Football is green, Softball is purple, Basketball is blue and Youth/Scouts are yellow. Reminders are great – I have two calendars that I run. My first one is my mommy planner (I got mine from CVS) and a second one on my phone. To insure that I make it on time for that Softball Game in Albion or Football game in Mt Carmel. I have sync the family schedule to my phone for easy reminders with my Google Calendar App. One Sport at a Time – In our household, we only allow each child to choose one sport or extracurricular activity at a time. This is to ensure that they are not being overwhelmed and can focus on their studies. But with a household of four kids, sometimes that can be overwhelming for mommy (See #20). Bath Time – Creating a simple bath and shower schedule can help some of those arguments and fighting over the bathroom in the mornings (night time too). What to Wear –Pick out clothes for each day on Sunday night so the kids only have to pull from the stack each morning. My son is easy, he just grabs what is clean and he is good to go. The girls on the other hand, are another story. They need a fashion show to pick out their clothes. Pack it up– Pack what you can into the car the night before. Football practice is right after school, have your son put his equipment and football bag in the car. Softball game right after school, have your daughter put her equipment and softball bag in the car. 15 Minute Jump Start– Wake everyone up 15 minutes before they need to start getting ready. This will allow time for a quick family plan meeting to go over last minute things before everyone goes their own way for the day. Oh, Don’t Forget– Put your kids’ lunch box next to their shoes to make no one forgets to grab their lunch. You don’t want to have to run back home because Billy forgot his lunch on the kitchen table. Take a break – To help maximum efficiency with studying, have student work hard for 25 minutes, and then break for 5 minutes. Just that 5 minute break will help them feel refresh to continue their studies. Family Inbox– One thing that I hate about the school year is all the paperwork I have to see, sign and return back to the school. It seemed to me, every morning as we are heading out the door for school one of the four tiered showing me something I was supposed to see, sign and return. Creating a family inbox for paperwork that needs be seen, signed, or returned to school will help. Your Project is due when! – Keep extra notebooks, colored pencils, poster boards, flash cards, etc. for those last minute projects. No mom likes to make a Wal-Mart run at 9 o’clock at night in her PJs. Family Togetherness – During the summer it was easy to make time for family every day, even if it was having dinner together. Family togetherness is very important. I know it is not easy to have dinner together every night, but it does not have to be dinner time to be together. I work retail, so a few nights a week I don’t get home until 9pm. On those nights I let the kids stay up a little later; we have milk and cookies and catch up for the day. Back to School Frustrations – To help overcome those ‘Back to School Frustrations’, schedule an afternoon date with each kids within the first few weeks of school. Just one on one, no other kids. Listen – As a mom I have learned over the years that I need to stop what I am doing and listen to my kids needs. Making eye contact, open ears and just listening. In doing so, you as a parent are setting the example on how to listen. Making Time for Mommy – As a mom of four, I have learned that I need to make time for myself. I deserve to relax and clear my head to start all over the next day. Here is to the best 2015-2016 school year. I am me! I am a wife, a mother, a daughter, a sister, a friend, a coach, a leader. But most of all I am me! I am a woman of many hats, but at the end of the day, I am just me. Born and raised in Southern California and now Living by Faith, Growing in Christ, and Raising my Family in the Midwest. Big change of scenery and small town living.